Coronary arteries are stretched and compressed every time the heart beats – on average about 70 times per minute! The leading cause of death in the U.S. is heart disease and it’s not only preventable, but avoidable. How can we know if our coronary arteries are inflamed? 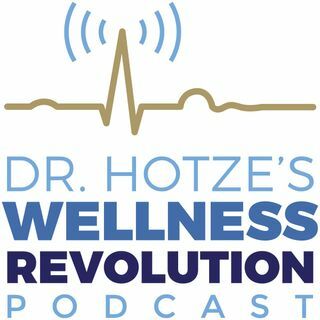 On this week’s podcast, Dr. Hotze discusses the importance of a heart scan and how early detection of heart disease can help us do a 180 and take charge of our health! With the proper diet and natural supplements, years ... See More of damage to the arteries can be reversed and prevent a life-threatening heart attack …which kills 50% of people in the first occurrence! Watch now and subscribe to our podcasts at www.HotzePodcast.com. For a free copy of Dr. Hotze’ s book, Do A 180 – Take Charge of Your Health, please call 281-698-8698 and mention this podcast!